Gerry Spence is one of the greatest trial lawyers of our time. He has not lost a jury trial in fifty years and has never lost a criminal or a capital case. He has also represented many celebrated defendants and appeared on countless national TV talk shows. Spence now presents us with beautiful Lillian Adams, who is going on trial for the murder of her wealthy husband before Judge John Murray. The prosecutor, Haskins Sewell, however, is consumed by political ambition. He plans to advance his own career by framing Lillian for murder one and by railroading the judge into prison. A fast-paced, up-all-night courtroom thriller, Court of Lies is also a harsh indictment of today’s legal system. The country has 2.3 million people behind bars and 7.5 million more on parole or probation. A major reason for so much mass incarceration is the dominance of politically motivated prosecutors, who over-sentence defendants for the sake of winning votes in their own elections and advancing their careers. KILLING IS A part of living. 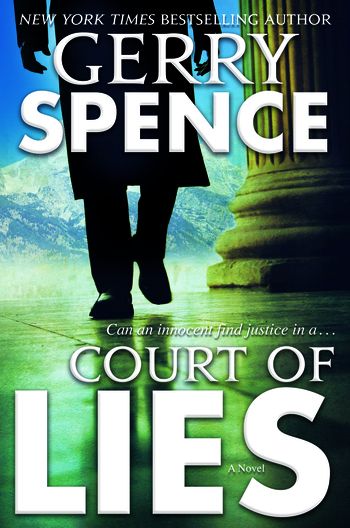 “Court of Lies is best filed under courtroom noir, a la Michael Connolly’s superb Lincoln Lawyer series featuring Mickey Haller. Spence’s prose is as polished as his final summation to the jury, helping to make the case that he belongs alongside John Grisham and Scott Turow as the foremost legal thriller writers of our time.